We continue with this story that every time fills me with more curiosity. At the end of the last chapter I went straight to read the next one, where I did not catch everything but let me see where things will go. This chapter begins with the presentation of the band that watched Ken. They came to a room where Ken was recovering from their fight and insisted that he join their band with an invitation to a restaurant and explaining the meaning of a band that is the same as a country, Ken knowing that his purpose is to be police rejects the proposal. 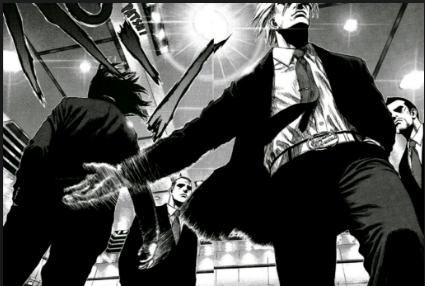 This leads to that the head of the band (Park Tae Seo) have to fight with Ken and force him to join, in this act he realizes that Ken is very strong and ends up surrendering telling Ken that nothing more be one if not also be your leader. I invite you to read this manga and take it day by day as I do.